On the eight Cort and Reid turned six years old. Hard to believe - they have grown up on the blog. Sometimes I go back and read posts from the early days, when they were infants. Sometimes I even have trouble telling which is which, although when they were born I had no trouble at all, because they were (and always have been) so different. When we were at the beach the twins fell in love with a show on Nickelodeon called Teen Titans Go. We don't have a television at home, so they had never seen it before. They wanted a cake for their birthday. I don't like fondant ice cream, so I always attempt to make a cake with traditional buttercream. An added complication this year is that Cort is on a modified diet as we attempt to find ways to help his psoriasis. But I managed to make a cake, and they were delighted. We had a very fun day with family, and two days later the twins went off to first grade. Readers, do you have any memories from first grade? My first grade class was combined with a second grade class, only 17 kids. Hard to believe they are SIX! Great photo of them with your cake. Happy Belated Birthday to Reid and Cort! The cake looks so pretty and delicious. 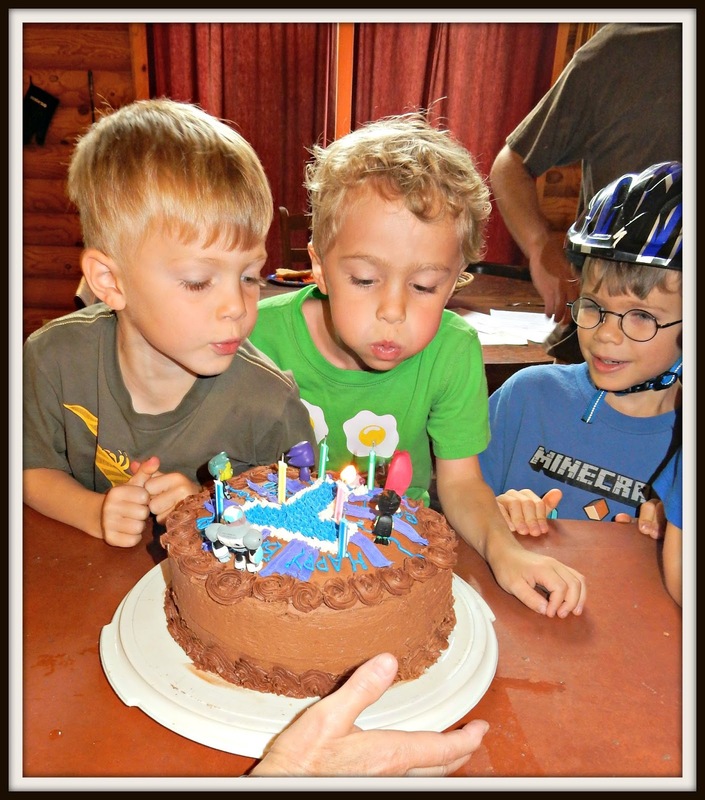 The cake looks good and fun for the boys! Hard to believe they are in first grade. Time goes by entirely too fast. Enjoy while they are young. First grade....my goodness no, I have no memories, it was 69 years ago! lol Have a great Monday. By the way, I applaud you for not having a tv at home! Hard to believe the boys are already in the first grade. It will be very quiet at your house today! lol The cake looks so good and fun as well. I applaud you for not having a tv at home! Have a great Monday. Happy Birthday Cort and and Reid! I DO have plenty of First Grade memories - If i behaved i would get to play the auto-harp and lead class singing . . We had a teacher who would bring her class in, they would sit on the floor - every one of us would practice best behavior because she told the Best Stories Ever . . . I surely do enjoy visiting you blog . . thank you for taking the time to share with us. I can hardly believe myself those little boys are SIX already. My goodness, time - where does it go? In first grade I had the best teacher that would help me read. She was so nice. I remember that. My mom liked her so much that she asked for me to have her again. She moved up teaching 2nd grade. So fun to have the cake!! My son likes that show. ;) Happy Birthday to your handsome boys! Well done on the cake and Happy Birthday to the boys! Already in first grade???!! Happy birthday to two adorable boys. My mom made me pose with my book sack in front of our house and also outside the classroom. I'm glad she did that. Happy Birthday to the guys!! Isn't it amazing how fast they grow up? Happy birthday to them. That's a darling cake. I've been blogging for five years and sometimes go back on my old posts. It's crazy how much kids change in looks and actions over the years. Happy birthday boys! Wish you all the best! Happy birthday to them! You're doing a great job as a mom, Lisa. I'll have to go read old posts now! Happy Birthday! happy birthday boys!! i wish i had thought to blog when b and d were born but honestly, i didn't even know what a blog was i think lol...it would be neat to go back and read the early days...but i think b and d were probably in kindergarten when i started mine because we were still in georgia and moved up here when they were starting 1st grade...man time flies! hope they had a terrific birthday! I'm sorry but I cannot get to your Pinterest page to follow you. I can pin your stuff but I can't follow your actual page. Do you have a link on your blog here that I'm not seeing? Nice looking cake! Congrats to the twins on their birthday and on going to school. 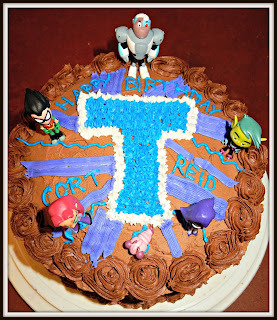 HAPPY BELATED BIRTHDAY TO YOUR TWINS, CORT & REID!! YOUR BIRTHDAY CAKE LOOKS DELICIOUS. I AM SURE YOU ALL HAD A GREAT BIRTHDAY PARTY. HAVE A WONDERFUL TIME WITH YOUR BOYS! !